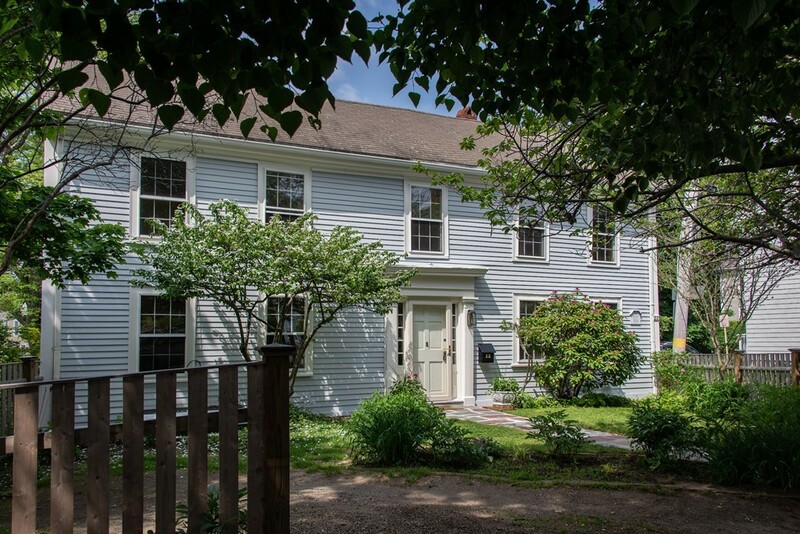 Tucked away on winding residential lane in the heart of "old town", this 1713 ANTIQUE CHARMER is a comfortable and cozy home with lots of character and original detail retained in the wide pine floors, windows and woodwork. The efficient cook's kitchen has new gas stove, stainless refrigerator, butcher block counters and lots of storage, Three bedrooms include a master bedroom with walk in closet/dressing room/office. Bathrooms have recently been redone. The walk up attic leads to wide open storage and possibly more. Outside space includes secluded front yard and rear driveway - there are two parking spaces. The exterior clapboards have just been rebuilt and painted as needed. Heating/Hot Water 1997. Roof 1998.